Sie haben eine Frage zum La Dolce Vita Hotel? 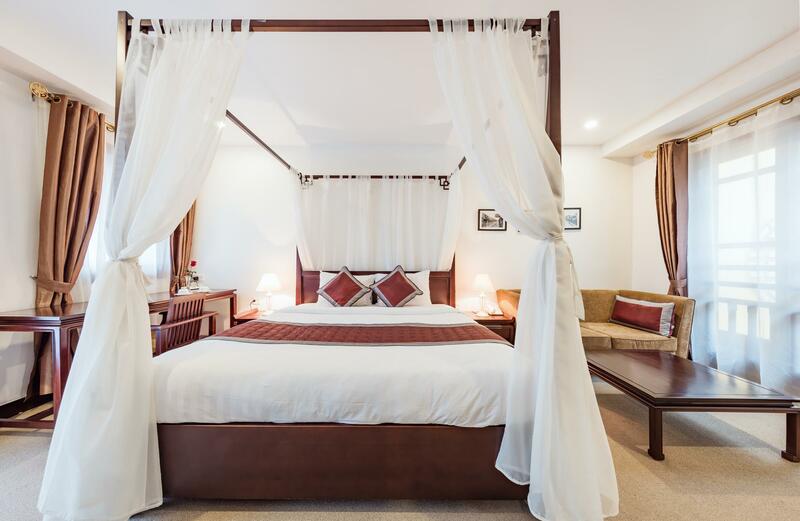 Aufgrund seiner bequemen Lage in Hanoi ist das La Dolce Vita Hotel die perfekte Grundlage, um die Stadt zu erkunden. Gerade mal 0.0 Km vom Stadtzentrum und 40.00 Km vom Flughafen entfernt, zieht diese 3.5-Sterne-Unterkunft Jahr für Jahr zahllose Reisende an. Die stets gepflegte Umgebung und die unmittelbare Nähe zu den Sehenswürdigkeiten Bach Ma Temple, Halong Bay Day Tours, Empty Wall Gallery und weiteren Attraktionen verleihen dieser Unterkunft einen ganz besonderen Charme. Das La Dolce Vita Hotel bietet zahlreiche Einrichtungen, um Ihren Aufenthalt in Hanoi so reichhaltig wie möglich zu gestalten. Die Unterkunft bietet zahlreiche Einrichtungen vor Ort, die selbst dem anspruchsvollsten Gast gerecht werden. Wählen Sie Ihren Favoriten aus 52 Zimmern, die allesamt eine Atmosphäre von Ruhe und Harmonie ausstrahlen. Den ganzen Tag über können Sie die entspannte Atmosphäre der folgenden Einrichtungen genießen: Whirlpool. Sie suchen nach einer komfortablen und günstig gelegenen Unterkunft in Hanoi? Dann machen Sie doch das La Dolce Vita Hotel zu Ihrem Zuhause weg von Zuhause. We loved the location in a crazy, busy part of town. We stayed here twice and our first room was not very clean. Mould in the bathroom and the room could do with a repaint. The safe was broken and despite asking for it to be fixed nothing happened. Our second room was a fair bit cleaner but still a bit run down. The staff were helpful and pleasant. Good location, friendly and very helpful staff, good breakfast, spacious room but a bit older furniture. Overall very recommended hotel. Firstly, it is centrally located. Secondly, it's affordable. Thirdly, the hotel room is very clean and comfortable. Very enjoy as stuffs there are very friendly. Simple but nice breakfast provided. Very near to local attractions. Highly recommend this hotel as it is really really really a high satisfaction stay. Surrounded with chilling spots at the night. 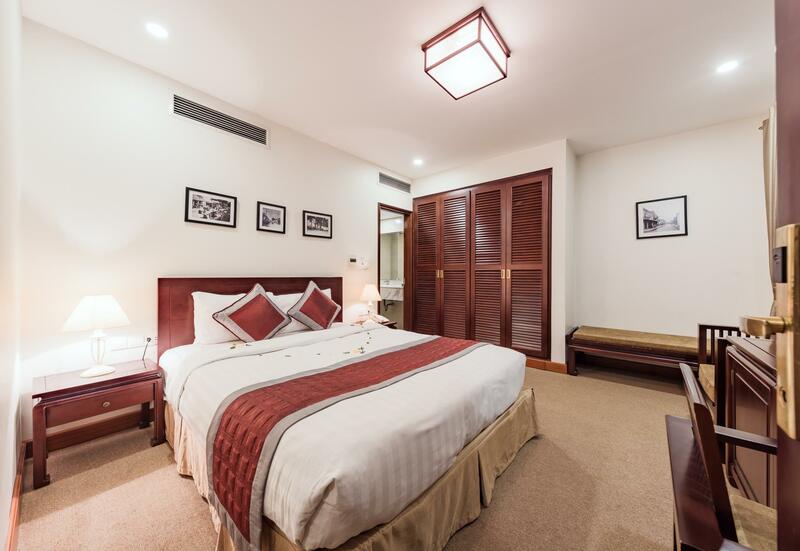 This is another value for money hotel in the Old Quarter of Hanoi. 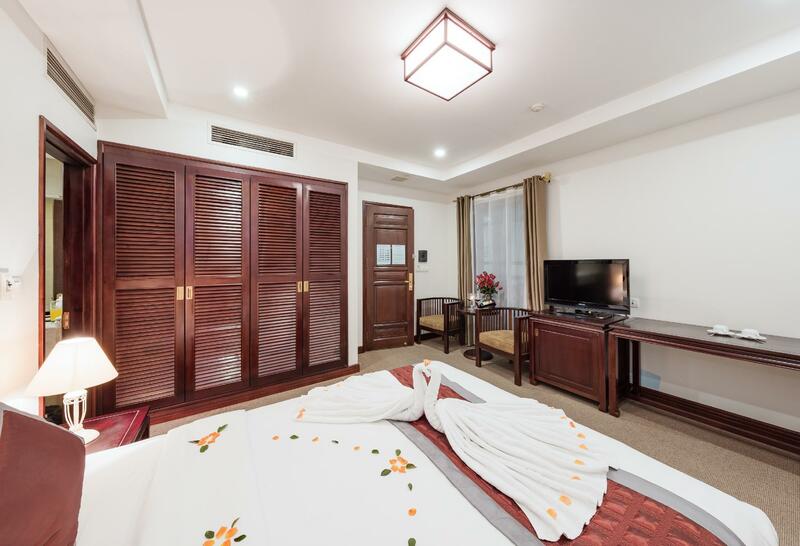 For less than USD$70, you get a new 3 star hotel, the room size is decent, furniture is in good condition, the room is clean and bathroom is adequate. I've no complaints about this place. It even has a free shoe polishing machine on the ground floor. The staff is helpful and the rooms are quiet. Its about 5 minutes walk from the Sword Lake. There's nothing much on the street where the hotel is, but its near enough to many other places within the Old quarter. We stayed in 2 different rooms. Our first room had mould in the bathroom and the safe did not work. We mentioned to the staff that the safe was coming up with a low battery warning and they said they would fix it straight away. Never happened over 3 days. The second room was a bit cleaner and the safe worked. Breakfast was ok but nothing special. The location is fantastic and there are great restaurants in the same street and both the market and the lake are a very short walk. Apart from the safe issue the staff were very helpful. Overall ok value for money. Rude staff and better hotels for same price range. I like Breakfast, the room, location, and staff. The price is ok and I will be back there. I Suggest it. The room was quite dusty when we first entered. Time for the water heater to be upgraded! Shower water turned cold after 5 mins shower. Next user will have to wait for a good 10mins again before entering into the shower room to get a hot shower. Most of the staff was unfriendly (Except for 1 nice lady). It smells of tobacco (especially at night). The rooms are very small and noisy. My stay at the Spring Flower Hotel (same price, 20m away) was better! 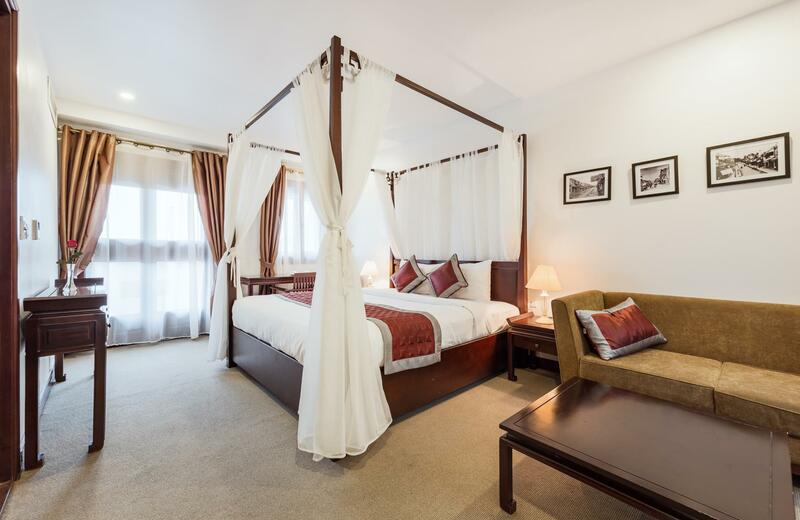 The bed was comfortable and the the room clean and well maintained. What makes this hotel special is an absolutely wonderful staff. They are friendly, helpful, professional and efficient but most importantly genuinely caring towards the guests. A lovely young woman working in the restaurant at breakfast my first morning assumed I must be lonely. She asked if I would like her to take me around on her motorbike so see some of the city sites that evening. That was the start of a marvelous adventure. Over the next 8 days we visited sites, ate at great little local spots, spent time with some of her student friends and where at times joined by other staff members. So I spent my time in Hanoi with people 1/3 my age and had a blast. And they asked for nothing in return. I love these kids and would never stay anywhere else when I visited Hanoi. 3 Personen fanden diese Bewertung hilfreich. Und Sie? Great location in the Old Quarters. Not too near the pub areas which can be noisy in the weekends, but within walking distance to restaurants, pubs and the night market. Staff can speak English and are very helpful. I enjoyed my stay in this hotel. It was a good place to come back to after a hectic day in the old city of Hanoi. Friendly staff and good value for money. Tip - Be aware of taxi drivers with dodgy taxi-meters! Friendly and accomodating staff. Excellent location. Good size rooms. Street is packed full of motorbikes so if your not used to it it may take a while before you can safely navigate yourself around the pushbikes, cars, scooters and motorbikes. The lack of traffic lights compared to the west is refreshing as is the minimal advertising, if anything experience this while you can and it lasts. Food in the area is great and the people are nice. Watch out for taxi drivers who set the meter at a high speed and try to coerce you into paying exhorbitand fees. Quick trip round the city getting from one place to the other should only cost a few dollars, get the guys number or plates and report to hotel, they should be able to have him tracked down for you and sorted. Otherwise I had lots of people offer me 1hr bike ride around hanoi for $15, great way to see the city turned into 90min and she negatiated a new pair of shoes for her instead, so realise what you could be getting into and how your overall fee may rise, it was still fun and enjoyable. Minor quibble, room could have been much better lit. It was my first time in Hanoi and their in-house travel agent Lucy went out of her way to help see the city sights in short time. She helped with translating instructions into Vietnamese and general advice etc. The other hotel staff were great as well and the hotel proved great value for money. 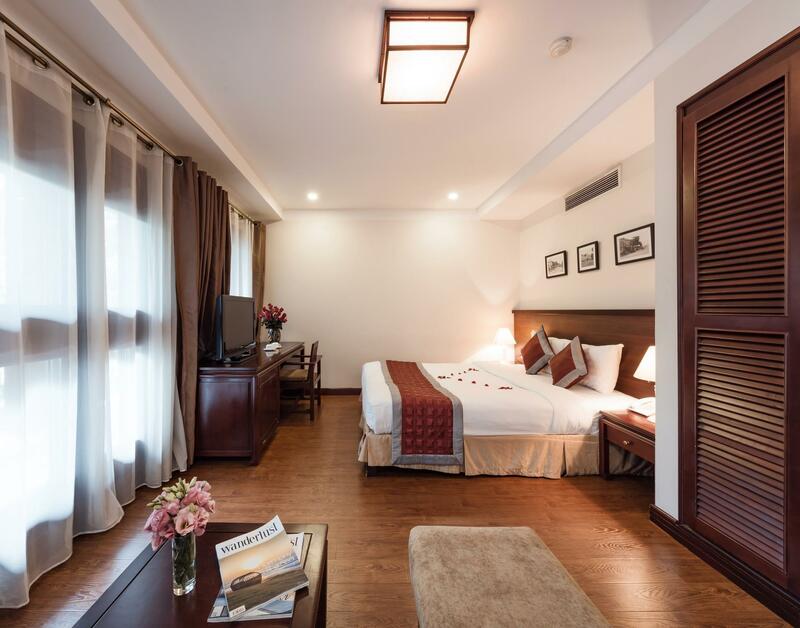 Superb hotel in the center of the old city of Hanoi. Access to important sites are very easy and the area is full of shops, street food, and very quiet at night. We very much appreciated part of the hotel which had become a small home with attentive staff, professional, smiling and friendly. We had originally booked 3 nights and we left later for 2 nights in Halong Bay. We did not hesitate to return to this hotel when we returned. Guard the baggage was assured. 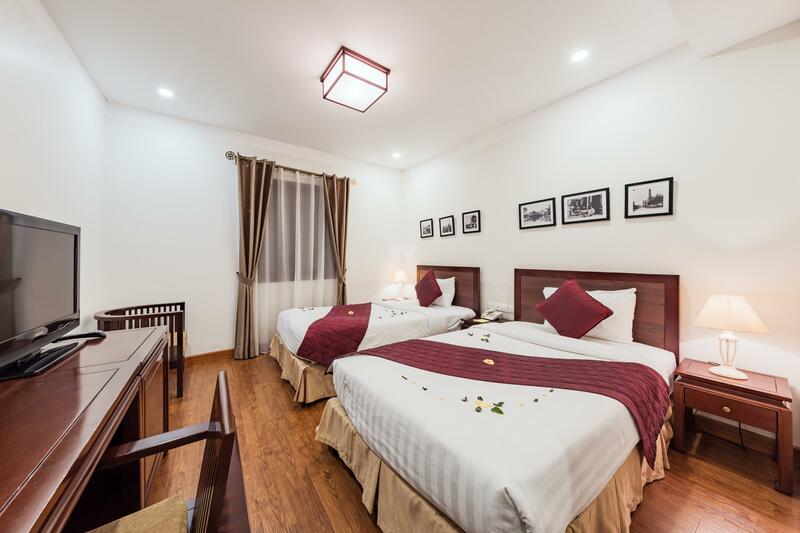 We can only recommend this place to our friends and family and especially to all those who want a bit of comfort in this tumultuous city of Hanoi and beautiful. I enjoyed my stay at this hotel. It was an excellent location in the old quarter close to all attractions and within walking distance of other parts of the city. There was good internet connection and the map provided by the hotel was great to use for finding my way around, I would have been lost without it!